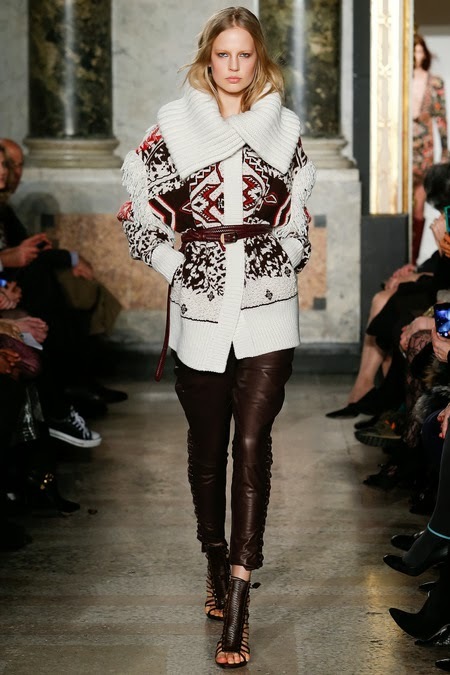 Today we look back at three great shows that happen in Milan for the fall and winter 2014. We have Dundas who has officially found his mark in the Pucci house, Angela Missoni show casing great designs with vibrant fall colours, and of course the great Giorgio Armani how happened to be snubbed by Anna Wintour on the last day of the shows. Still staying with the classic Pucci we all come to love with those great graphic prints, Dundas did played around a little using his childhood as a big inspiration. As a child his grandmother would always be knitting, which played well in the show with lots of big chunky knits. 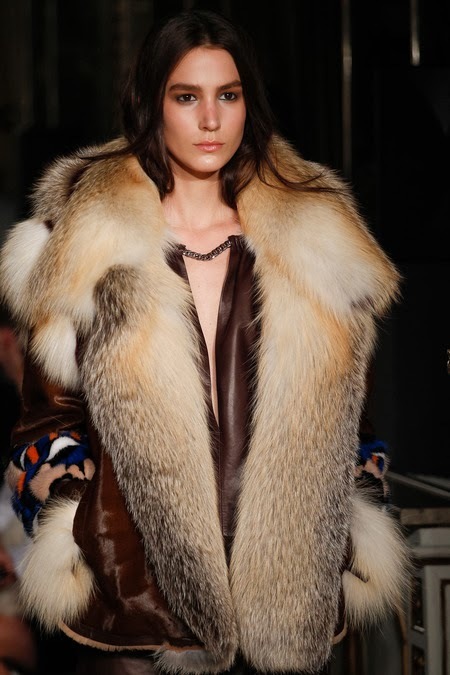 Also his home in Norway got some attention with the amazing luxe furs and tribal blankets. After looking at everything that came down the runway I would have to say this may be his best show yet. He is finally making the fashion house his own, and people are responding to it in a great way! 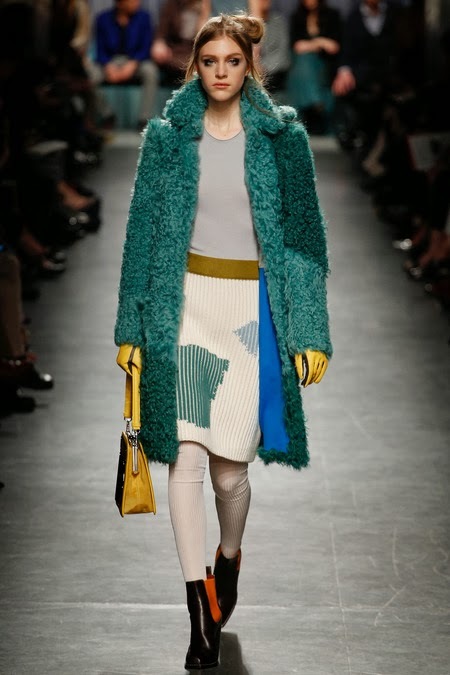 "We did a lot of research specifically into texture, to give the knits structure" said Angela Missoni on knitted fabrications of this collection. 80% of the collection this season was in fact all knitted, with all the detail it was hard to really tell if some of it was. This show was mostly dedicated to the urban women but rather wearable with some great pieces. The colour palette for the season was very typical to what you would see in fall, but the execution of it was what made it beyond "typical." 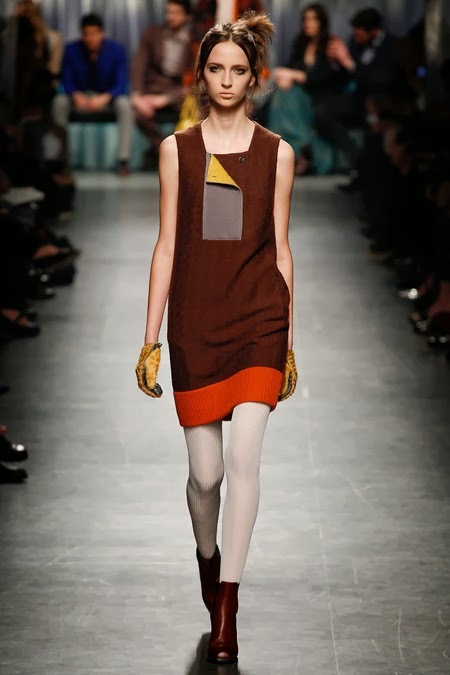 With rich vibrant brunt oranges and yellow mixed with the knit texture it was everything you came to love from Missoni and more. After being told that Anna Wintour will not be coming to your show any more, but her "people" will be there instead you can expect Giorgio Armani to be a little upset. However he put that aside and continued with the show which turned out to be a great way to close the Milan fashion week. The title of the show was called "Fade to Grey" and with the main colour in the title it left people wondering what to expect. The majority of the collection was done in grey flannel with splashes of lime trough out the show. The lime was very different to see come down the runway but it worked, lime with what looked like a chiffon over lay in black just worked together.